What Dreams Dance in Your Head? 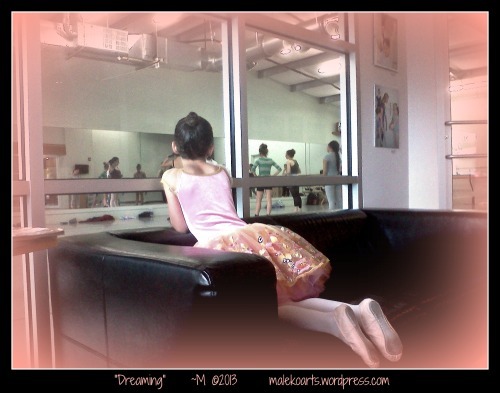 This entry was posted in Adventure, Art, Photograph and tagged 2013, Art and Life, Ballet, Dance, Daughter, Dream. Dreams, Faith, Life, photo, Photography, Thoughts, Writing. Bookmark the permalink. What a beautiful image, kids dreams are so big, we should learn from them and dream big too, I will share it on my twitter just amazing! Thank you so much Doris! There can never be too many dreams!